While summer lets us get away with using baskets and canvas totes to sling over our bare shoulders, autumn calls for an altogether more serious bag. We need something sturdy for work or school and the gym (which seems to get harder to hit the shorter and darker the days grow, am I right?) 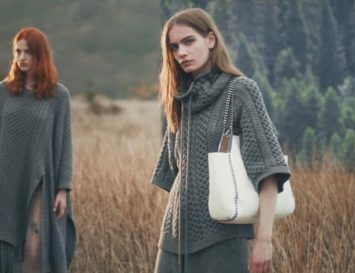 But finding vegan bags for fall that boast great style and ethics can be a real struggle, especially given how polluting vegan leathers can be. 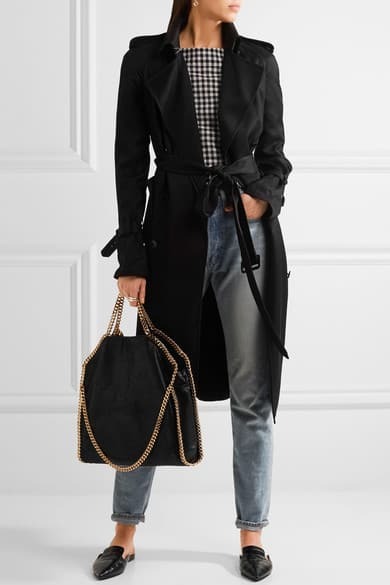 But never fear – after a long search, I’ve found the best vegan bags for your fall wardrobe – these suit any colder weather outfit, and occasion. 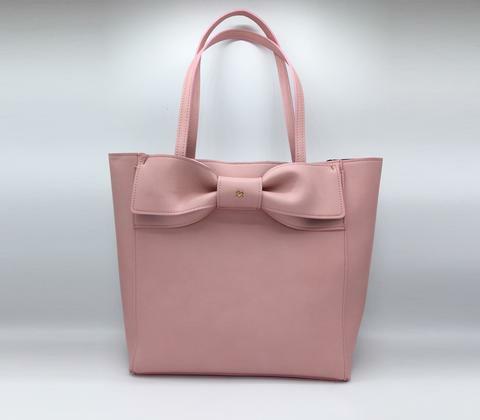 A tote with a sweet bow, in pastel pink – what could be more ladylike? This Cher bag (named after the Clueless character, not the singer) actually comes in a variety of colours, including grey if you want to tone down the femininity a bit. What we love most may be the practicality of the size: this bag by Gunas is more than generous enough for all your essentials, and it makes a beautiful addition to any closet. Girls, it could only be one bag under this title – the very most favourite bag of them all for vegans and non-vegans alike. Yep, I’m talking about the Falabella, by Stella McCartney. If you’re looking for a comfortable, cruelty-free classic that rocks a pair of jeans as well as a work outfit, this is the one. It inspires envy from anyone with eyes, and comes in all kinds of sizes and colours, too. The price tag may make some wince, but you know what? This is really the only bag you need. Veggani is one of our favourite brands, because they make truly eco-friendly vegan leathers – I mean, some of their shoes are actually made from apple peels. For real! So finding this Maya bag, whose interior features an artist illustrated fabric made from 100% recycled materials including plastic bottles, made me pretty happy. Especially since the vegan leather here is textured to look like alligator – elegant, but 100% cruelty-free, of course. The way it should be. Backpacks are a huge trend this season, and what better way to jet about than with the sleek and sophisticated best-selling backpack from top vegan bag brand, JW PEI? Not only is it practical with its spacious sizing (perfect for your laptop) and adjustable strap, but it’s super comfy and made from luxurious vegan leather, giving it a buttery soft finish. 100% cruelty-free and lighter than other similar vegan bags on the market, this is as gorgeous as it is practical. Vegan patent leather is often made of very toxic PVC, but not this glossy Jill Milan bag. Chic and sleek, it’s just as suitable in the office as it is for after work drinks. With separate interior pockets for money and mobile, this is a practical purchase that will appeal to vegan fashionistas and animal lovers alike – especially as Jill Milan provides support to animal welfare organisations with a percentage of every sale. What’s more on trend right now than a winged vegan leather bag? This chic vegan tote gives off such an elegant look with its LaBante logo and gold hardware plaques. 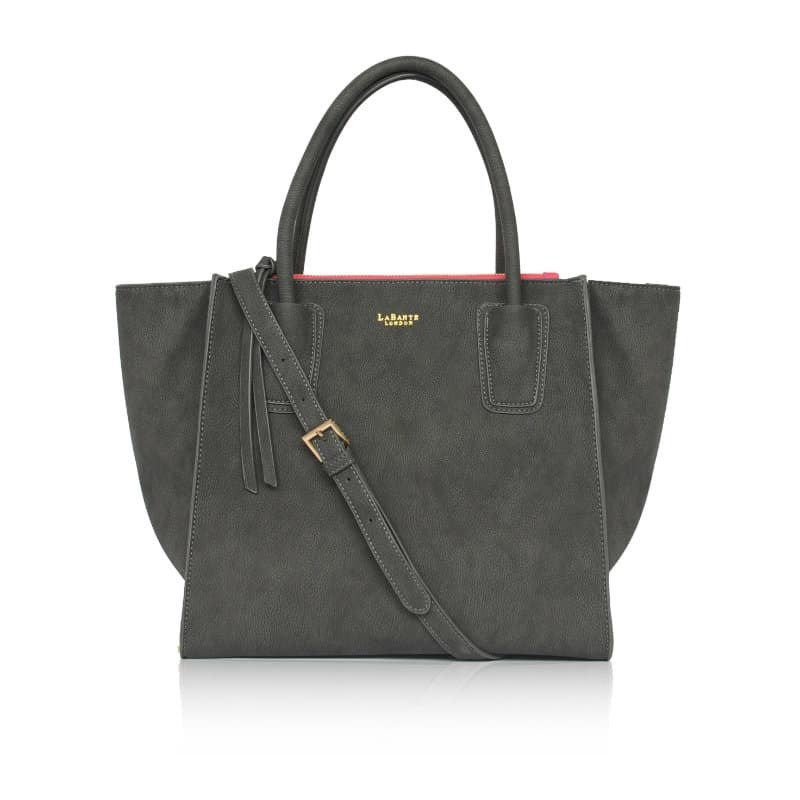 Grey may not be your favourite hue, rest assured that this bag style comes in a variety of colours. Made of recycled materials, it’s a stunning, eco-friendly option for day or evening wear. The PETA approved vegan brand brings out a new collection every single season, and only ever uses ethically sourced materials for its creations. A Matt and Nat cork backpack is perfect for squeezing in all your work and school supplies. 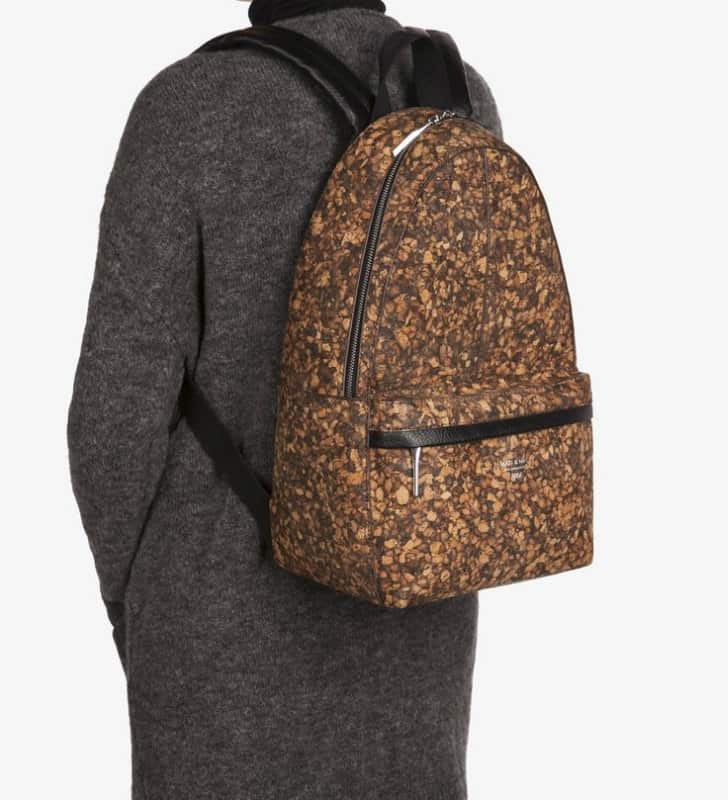 Made of cork and boasting a 100% recycled nylon lining, this bag proves Matt and Nat’s commitment to being sustainable as well as using eco-friendly detailing. Here’s a bit of trivia about this vegan bag brand: founded in 1995 in Montreal, Matt and Nat aren’t actually the designers; the name stands for Mat(t)erial and Nature. Such things will never happen again with this incredible bag made by Ood, and made of wood! Yes, really. 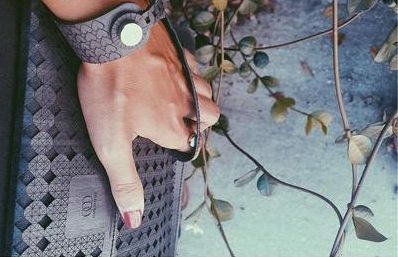 This sweet clutch comes with a bracelet that attaches the bag directly to your wrist. Let the cockail hour begin! Free People’s vegan Bardot tote back is hungry. It wants your books. Your makeup. Your laptop. Your shopping. You name it! It’s big, it’s basic, and it’s in a gorgeously neutral blush. We could totally see passionate vegan Brigitte Bardot, for whom the bag is named, toting this around the cafes of Paris in her heyday. We just discovered Sole Society, and tbh, we’re freaking out. It’s a great site for chic vegans searching for shoes, bags, and accessories. This sturdy, well constructed bag is but one of many, many styles you can choose from on their website – great for the gym or a weekend away. I seriously love all of those bags so so much! my favorites are the Jill Milan clutch bag and the fellabella! You’d rock both beautifully, no doubt Noa!